We decided to take a close look at the best drones under 500 and compile a list of 10 best affordable drones. Having taken a look at user reviews, manufacturer specifications, and many other criteria to give you the best list possible, we trust that these are some of the finest and most inexpensive drones you can buy before you have to up the price a step further. As a result, the price list ranges wildly, but everyone should find something that suits their budget. This portable mini-drone fits the palm of your hand but is super smart and easy to fly. Incredibly intuitive and reliable, it comes with a 2-Axis Stabilized Gimbal Camera. 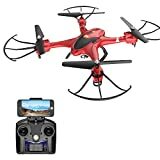 This is one of the best drones under 500 for both beginners and advanced pilots. Featuring a long flight time (up to 16 minutes), FPV aerial immersion, HD Wi-Fi transmission, the DJI Spark guarantees users a lot of fun! 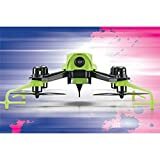 As so many customers report in their reviews, this is an amazing drone for non-professional use! 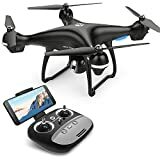 Ranging around $80-100, the HS200 drone is certainly toward the inexpensive end of any list of best drones under 500 dollars. The mobile controls work very well though, and it flies great in an outdoor environment. You should get upwards of 10 minutes of flight time each time you take the H200 out. This cheap drone doesn’t require FAA registration either. The Yumeec Q500 5K Typhoon comes complete with a CG03 camera that records video straight to an upgraded 16GB micro SD card. You can capture unparalleled 4K video and high-quality images with this Typhoon drone under 500. The drone comes with a 3-Axis Precision Gimbal, a CGO3 Camera, ST10+ Personal Ground Station, SteadyGrip, 16GB micro SD card, Battery, Charger. It also includes an Android touchscreen controller for faster setup. The ProMark VR drone comes with 3D goggles and offers 720p HD streaming video straight to your mobile device. You can also use your phone to control this drone easily with an official app. This makes it easy to fly outside or in large areas indoors. You should see around 8-10 minutes of flight time. It ranges in price from around $140-160, so it is an affordable drone with a camera. At around $300, the ARRIS C250 is a relatively expensive drone, but it’s designed with racing in mind. It features heavily reduced wiring, an extremely heavy duty controller and efficiently designed propellers to give you the best performance possible. It’s usually not possible to fly this fast of a drone inside of a house, but you should be able to get around 8-10 minutes of flight time on a single charge outside. With a brushless motor and outstanding power, this device offers great value for the money, being one of the best buy quadcopter choices. 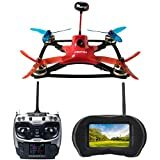 Most users say that the Eachine Wizard X220 can fly from around 5-10 minutes depending on how much wind you have outside, though it naturally lasts longer indoors. The soft-protection subroutines should keep you from crashing it, and the inclined motor offers some of the fastest speeds in this price range. This RTF model is one of the best affordable drones for the incredible power to accelerate and lift. 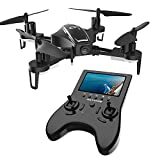 The Holy Stone HS100 drone sells for around $300 but you will need to register this device with the FAA. The rugged construction, excellent GPS, and advanced features will make you feel like a professional pilot. It flies equally well indoors and outdoors. 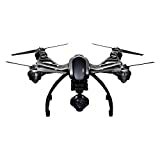 Its optimized 720P camera certainly helped it make the list of best drones under 500 dollars. The DYS drone from FPV might have a strange name, and a stranger appearance, but it offers 5.8GHz FPV video sent straight to the included goggles. While it can cost upwards of $400, the batteries should last around 5-10 minutes depending on which features you have turned on and whether you’re flying it outside. The product comes with a drone camera, a racing kit, and a radio link transmitter. When it comes to indoor aerodynamics, the Vusion drone is one of the best drones under 500 dollars. It has a sleek low profile and a versatile 600TVL FPV camera. The video slot can accept massive 32GB microSDHC cards, though you won’t need much else to get this kit working. This drone from Walkera drone is clearly designed for serious UAV pilots, so it’s not meant for beginners. It offers experienced pilots a load of features for under $400, and these include the latest F3 flight technology coupled with a 5.8GHz image transmitter. The remote controller will actually remember personalized settings, which is great for situations with more than one pilot. This affordable drone also features a night vision camera with a visual range of 120 degrees. The DJI Phantom P3-Standard is one of the best affordable drones when it comes to battery life. You should get around 25 minutes of flight time even if you’re flying it outside. You can use a GPS-assistance mode to get help while you’re flying the Phantom P3, and you can even set points that the drone will navigate to. Its mobile app is undergoing further adjustments, which should make it even more impressive. 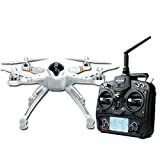 While it can be difficult to keep all the various versions of the DJI Phantom intact, the P3-Standard version is certainly one of the best drones under 500 dollars today. The videos it shoots are really stunning and the 8GB microSDHC slot should hold plenty of them for the future. You can even watch a live image streamed straight from the drone to a mobile phone or tablet. If you’ve had any experience with the DJI Phantom P3-Standard or any of the other drones on our list, then we’d love to hear about it! Let us know if there are any affordable drones you felt we missed too. What are your favorite best drones under 500?